The Pilot is an independently owned newspaper currently published twice a week in Southern Pines. The first issue of The Pilot was published in 1920 in Vass, North Carolina by Stacy Brewer. Brewer sold the paper in 1928 to Nelson C. Hyde, a former editor of the Syracuse Herald in Syracuse, New York. 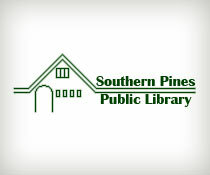 In 1933 the first edition with “Southern Pines” as the place of publication was issued. The Pilot changed hands again in 1941 when Hyde sold to his friend James Boyd. Boyd, the award-winning author of Drums, was a contemporary of F. Scott Fitzgerald and Thomas Wolfe, who were frequent visitors to his Southern Pines estate, Weymouth. Boyd’s wife, Katharine Lamont Boyd, took over as publisher and editor after his death in 1944. In 1968, she sold The Pilot to Sam Ragan, previously the executive editor of the Raleigh News & Observer. Ragan later served as North Carolina Poet Laureate. Often called North Carolina’s “literary godfather,” Ragan was North Carolina’s first secretary of the Department of Cultural Resources and first chairman of the North Carolina Arts Council. He stayed at The Pilot until his death, continuing to write “Southern Accent,” a column which featured poems, anecdotes and literary criticism, along with social commentary. “Southern Accent,” the oldest and longest running column in the United States, was read in forty-three states and twenty-four foreign countries. In 1996, current owners Frank Daniels Jr., Frank Daniels III, David Woronoff, Jack Andrews and Lee Dirks — all previously associated with the Raleigh News & Observer — acquired The Pilot. Under their guidance, The Pilot has also launched an online edition at thepilot.com.